Start taking classes at Epic Yoga and other studios! 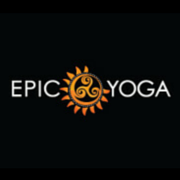 Epic Yoga is a Baptiste Affiliate studio located in Brentwood, TN right off Old Hickory Blvd. We offer more than 30 classes each week, including heated Power Yoga, Basics, and Restorative classes. Through the practice of Baptiste Power Vinyasa Yoga, students learn to open their bodies, hearts and minds. Our mission is to inspire, and empower each and every person who walks through our doors. We seek to empower and inspire through yoga, personal transformation and the power of community. Live Inspired! We offer more than 30 classes each week, including Power Yoga, Basics, and Restorative classes. For those wanting more individualized instruction, we offer yoga personal training and on-site corporate sessions. We also regularly host workshops and teacher training programs. Most of our in-studio classes are heated to around 92 degrees, our Basics class is about 80-85 degrees. Bring a yoga mat (no worries if you don't have one, we have rentals), towel, and water. Leave your ego at home, turn off your cell phone and be prepared to sweat! We are located in the Target shopping center on Old Hickory Blvd, right off of I65 in Brentwood. There is a parking lot in the back of the studio (drive down the alley behind Panera... not the most glamorous, but more parking) or you can park in the Target lot out front. Please arrive at least 10 minutes early for your first class. I was visiting from out of town and took a chance on this class. It was wonderful! Really challenging but also very supportive. Highly recommend. Hands on correction and verbal ques were super helpful! Loved the cozy studio! Love love this chill class! Leanne was awesome, so helpful and open. This was my first hot yoga and her kindness and energy took my nerves right away. Great class, loved the hot yoga, just wish there could have been some soft background music as she was teaching.